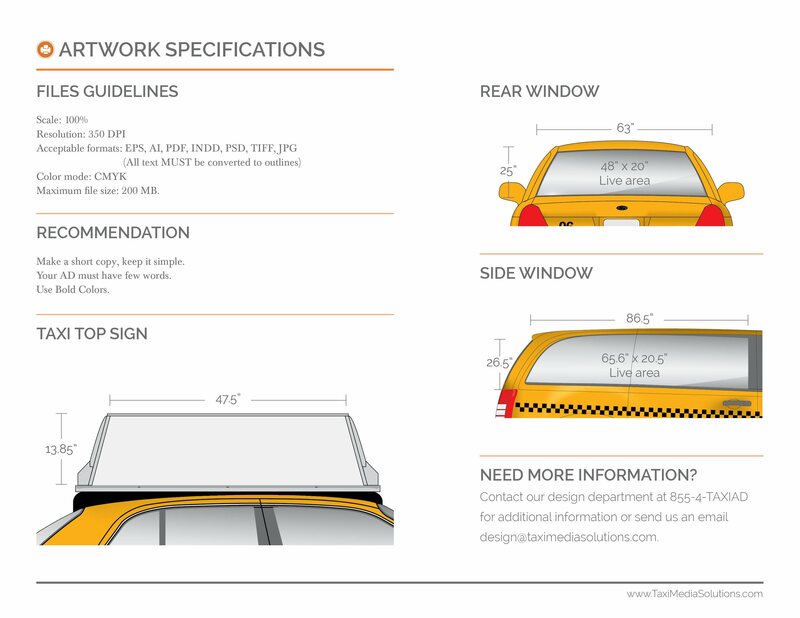 We provide 54” – 2 sided illuminated taxi tops with very simple installation requirements. Our design & production team are always ready to ensure all processes are clear and successful. We are here to guide the customer through the process from concept to campaign delivery. You can also contact us with more questions or simply download our spec sheet below. 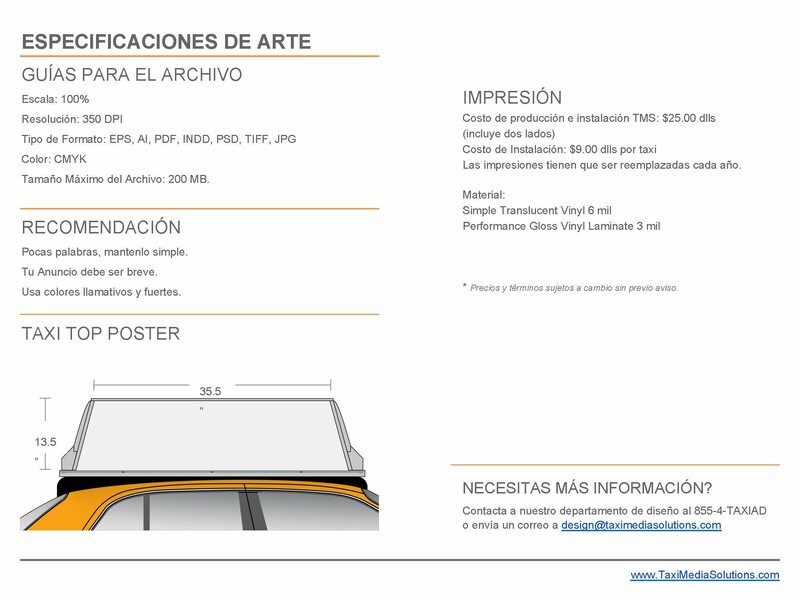 Please note that we have two artwork specifications depending on the market, USA and México. Make sure to download the suitable for your campaign, or if you have any question please contact us.